Super-Comet or Big Asteroid Belt? 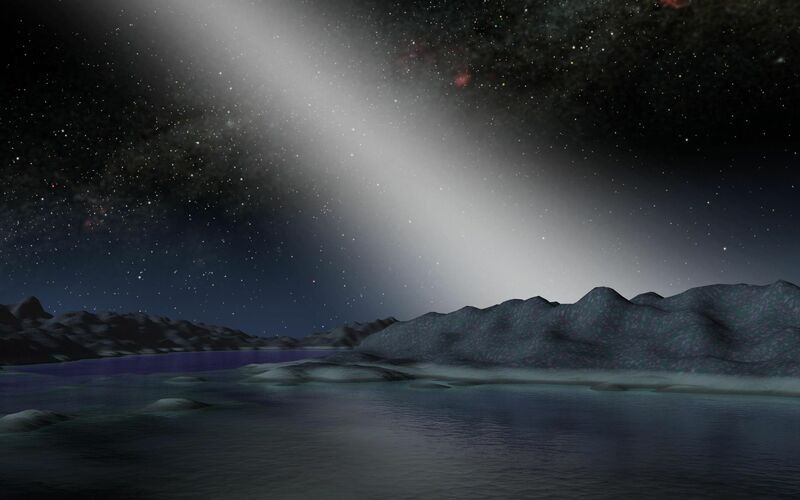 This artist's concept illustrates what the night sky might look like from a hypothetical alien planet in a star system with an asteroid belt 25 times as massive as the one in our own solar system (alien system above, ours below; see Figure 1). NASA's Spitzer Space Telescope found evidence for such a belt around the nearby star called HD 69830, when its infrared eyes spotted dust, presumably from asteroids banging together. The telescope did not find any evidence for a planet in the system, but astronomers speculate one or more may be present. 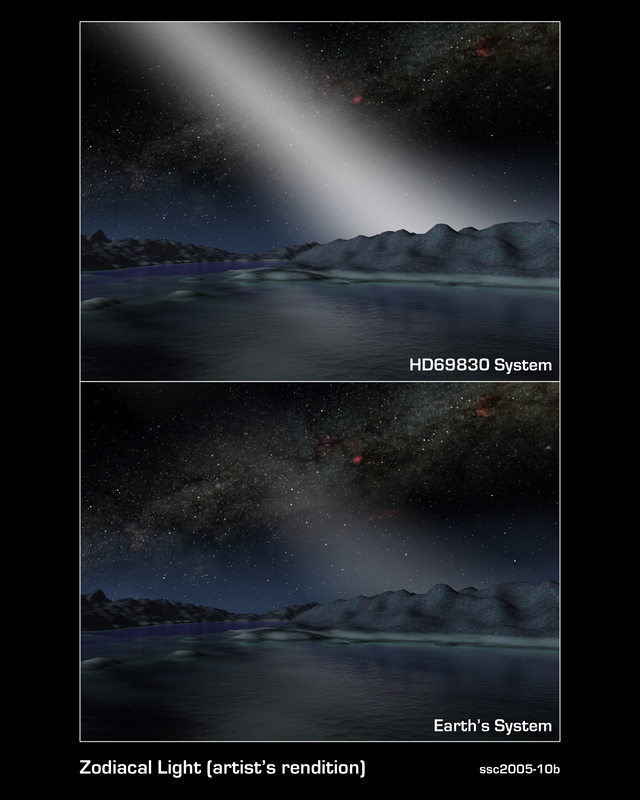 The movie begins at dusk on the imaginary world, when HD 69830, like our Sun, has begun to set over the horizon. Time is sped up to show the onset of night and the appearance of a brilliant band of light. This light comes from dust in a massive asteroid belt, which scatters sunlight. 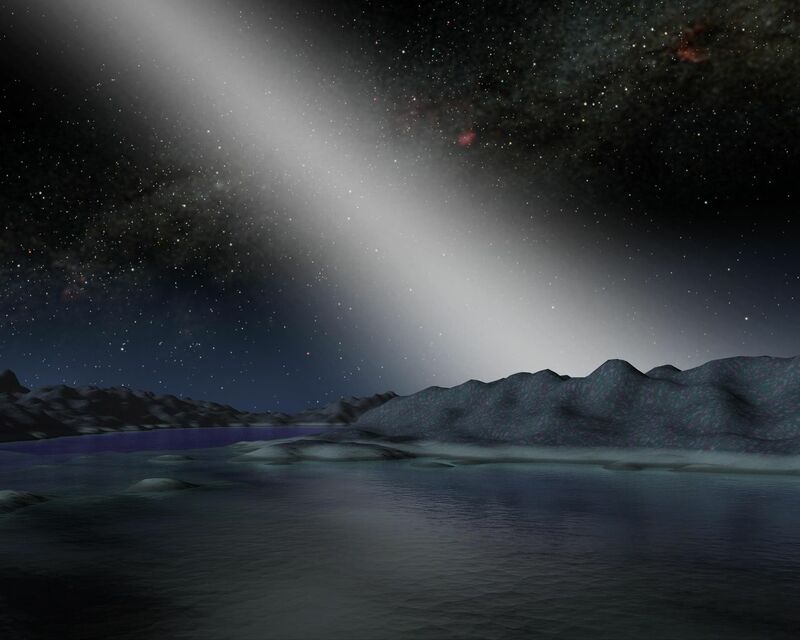 In contrast, the zodiacal light in the HD 69830 system would be 1,000 times brighter than our own, outshining even the Milky Way.